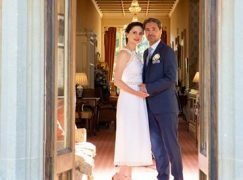 Our social affairs correspondent reports that the in-demand international soprano Elena Tsallagova, originally from Vladikavkaz, has got married in an English country garden. Her husband is called Ian. Elena’s next role is Pamina at Deutsche Oper Berlin at the end of the month.